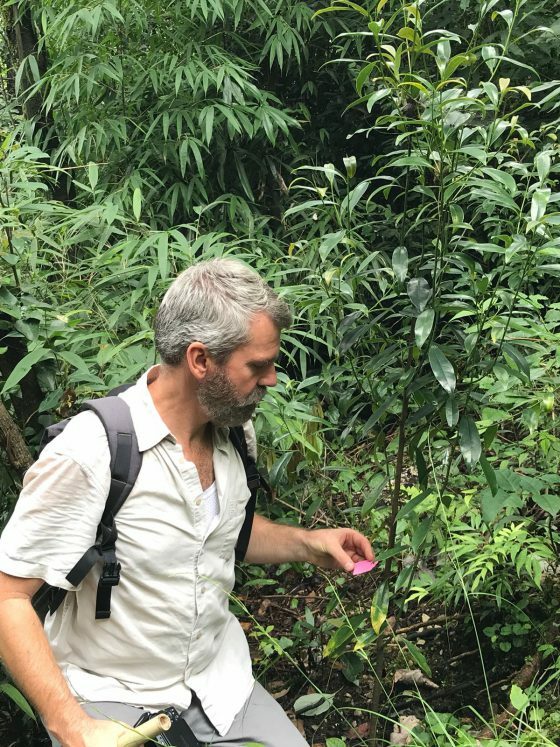 In our new interview series we meet some of the people working on or with the GTC to save the world’s most threatened trees from extinction. Our first interview is with Joachim Gratzfeld, Director of Regional Programmes at BGCI working on GTC projects across the world. How did you get into tree conservation? Perhaps the fundamental reason for my interest in nature, species and conservation lies in the wondrous and unique environment I was privileged to grow up in – the Valais, in southern Switzerland. Amidst an orchard of old pear, apple and apricot trees, I would spend hours as a boy on the sides of a stream, observing caddisfly larvae, swift pond skaters and gorgeous native crayfish, while the occasional woodchat shrike would scan the fruit trees’ bark for prey – all indicators of a superb unpolluted environment. Before long during my childhood, the plant eureka moment came – delivered by the postman – in a magazine on interior design, lifestyle and gardening! Attached to a coffee advertisement was a small envelope containing two unroasted coffee beans and the strapline ‘Grow your own coffee!’ This was in the mid-70s and I had not seen fresh coffee seeds before, growing up in a provincial corner of Switzerland. However, this may have been the chief trigger of my lifelong fondness – not only for coffee – but for botany, identifying and growing plants, and conservation. Whilst my upbringing greatly paved the way for my decision to study plant sciences, I was always looking for new, botanical challenges. At university, I found it in the green, cellular world of the mosses, researching their union with their host trees. Whilst trees are a key group at the heart of my scientific interest, I cannot help it, botany keeps sparking my curiosity in any type of plant, be it a tiny, ephemeral grass, or an ancient tree. How do you contribute to the Global Trees Campaign (GTC)? 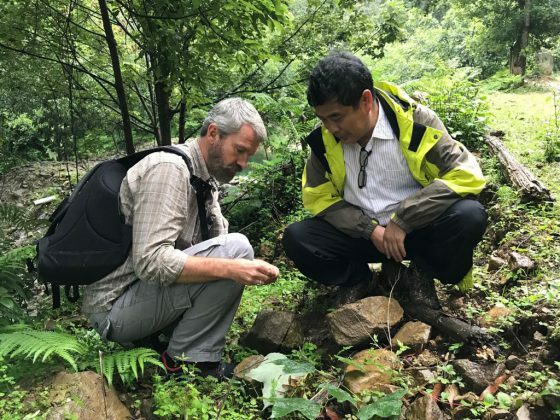 I oversee over 20 individual tree conservation initiatives across the world, notably in Southeast Asia and China, the Caucasus and Latin America, assisting our partners to deliver innovative conservation action. I work to expand our project portfolio, envisaging ideas for new conservation partnerships to save trees closest to extinction and mobilising resources to make them become a reality. What makes the GTC inspiring to me is its unique integration of in and ex situ conservation measures, working with a diverse range of partners and local stakeholders, and supporting their capacity to act on their own accord to prevent tree species going extinct. Which conservation achievement are you most proud of? Our recent review of our former projects has highlighted the value of the GTC. Ninety percent of our previous partners confirmed that they continued to be involved in conservation efforts related to the target species. As a conservation manager, this has been a very encouraging finding, demonstrating the positive impact of the GTC over the last decade. However, this is not to say that we can rest on our laurels, we are still losing tree species and the scaling-up of conservation efforts remains critically important. Best story from the field. The way to one’s heart is through one’s stomach, and working with a range of different cultures has provided manifold opportunities to immerse myself in local customs and food traditions: nibbling boiled sheep cheek, sipping a glass of warm donkey blood, or slurping seahorse soup. At the vegetarian end it is definitely a genuine delight, you get to try so many new flavours, from rubbery lung lichens or crispy Gnetum crackers over to juicy Aralia or Smilax shoots and chili con carne with Bauhinia buds. The list can be extended ad infinitum, without plants, definitely, there would not be any food before long. What is your favourite threatened tree? Australia’s iconic and endemic grasstrees come to my mind. 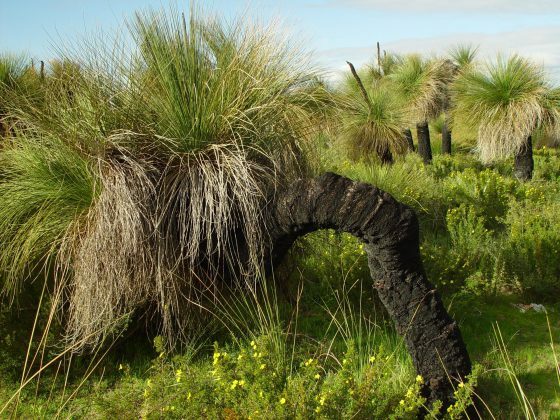 Very slow growing, on average 1-2 cm a year, the near 30 species in the genus Xanthorrhoea take several hundred years to produce branched trunks. Albeit under firm protection from human exploitation, pests and diseases could easily destroy entire populations with aged specimens and several species are considered threatened. I must admit, I was once the proud owner of a grasstree purchased for a small fortune at a rare-plants-fair in France – all legal – Xanthorrhoea glauca coming with a certificate of origin and an export permit. For a couple of years, my handsome specimen appeared to thrive, till the day when the leaves were gradually going yellow and, ultimately, the entire growth centre came off – my perhaps 100-150 year-old grasstree had gone! It felt and in fact it still does feel, like a bereavement. What are easy things people can do to support tree conservation? First and foremost, as is common knowledge, it is about caring for the environment; such as reducing one’s waste, using non-polluting means of transport, buying organically produced food, and so on. If you are privileged and have a garden and the space, and you may consider planting trees, think specifically of native species, adapted to the local climate! However, seek professional horticultural advice, best from your local botanic garden, to identify the right tree species for the right place. The final question – which tree product could you not live without? A quintessential tree product in my life: the apricot without a doubt! My place of birth, the Valais, is a traditional producer of apricots. However, the region almost lost one of its best local varieties, the ‘Luizet’, the epitome of the apricot taste, when agricultural intensification in the early 80s made many local fruit tree varieties give way to economically more profitable and viable cultivars. Luckily, at the eleventh hour, Apricot conservationists realised the urgency and began to collect germplasm from farmers and other land owners, promoting again the propagation and cultivation of this succulent variety of apricot. Hopefully, one day, it will celebrate a full comeback. Meanwhile, in our old orchard, trees of Luizet continue to thrive, established by my father nearly half a century ago with grafts from an unusually large mother tree now long gone – that is conservation in action!